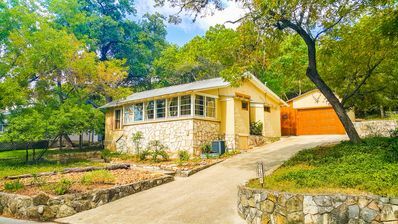 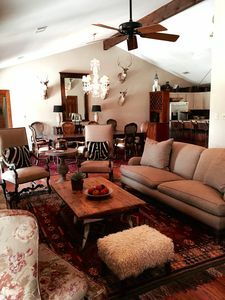 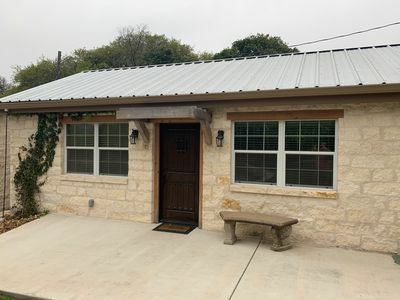 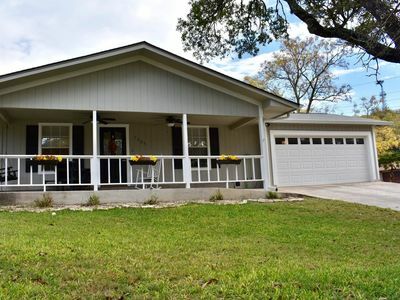 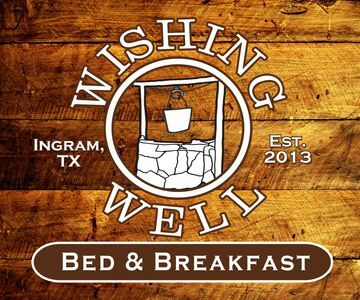 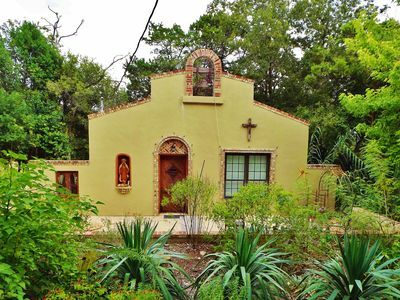 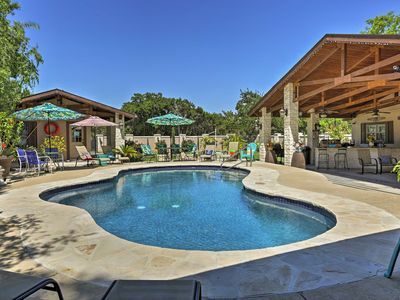 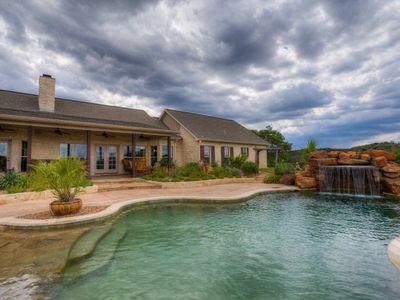 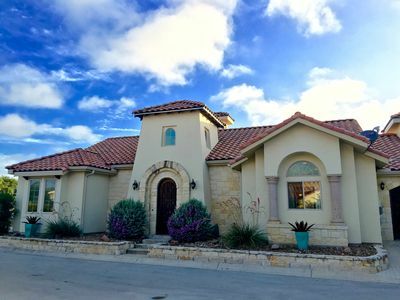 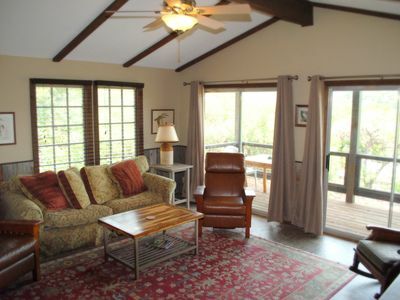 Situated in Texas Hill Country this cozy casita originally built in the 1930's was renovated in 2015 into a vacation rental studio suitable for 2 adults and 1 child. 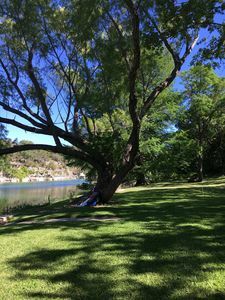 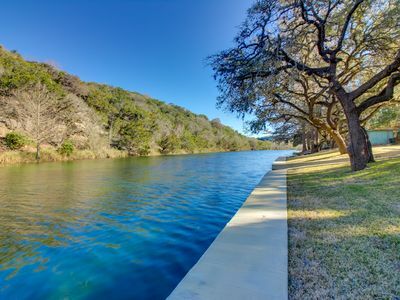 The Guadalupe River is directly directly across the Hwy and offers 350 ft of frontage for guest use. 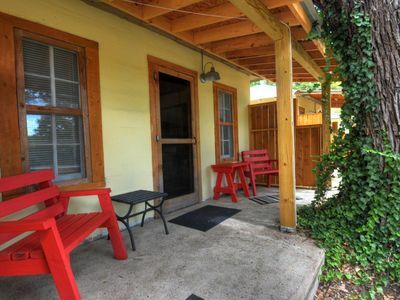 The shoreline has fire pits, picnic tables, grills, floating dock, canoes and chairs for Casita Blu guest use. 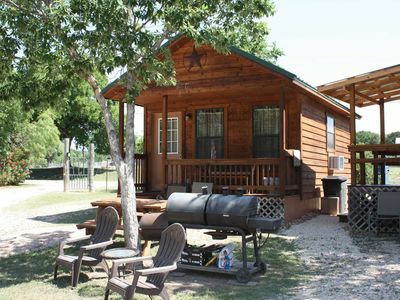 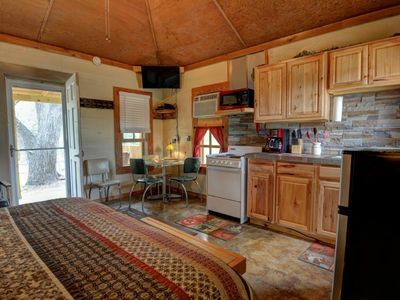 The large Cypress trees provide shade for fishing, swimming and boating.The cabin has a kitchen with stove and oven, refrigerator, queen size bed, bathroom, shower and is pet friendly. 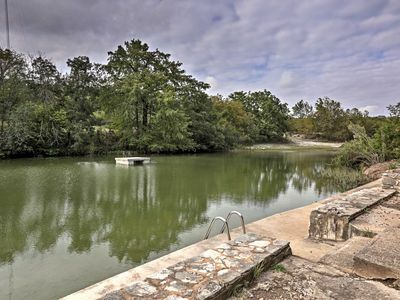 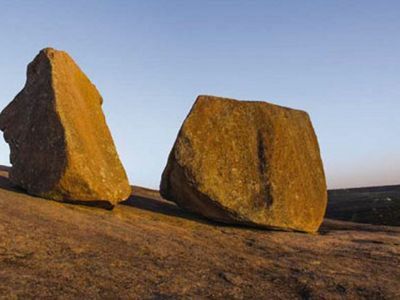 The location is about 1 hour north of San Antonio and 2 hours west of Austin.